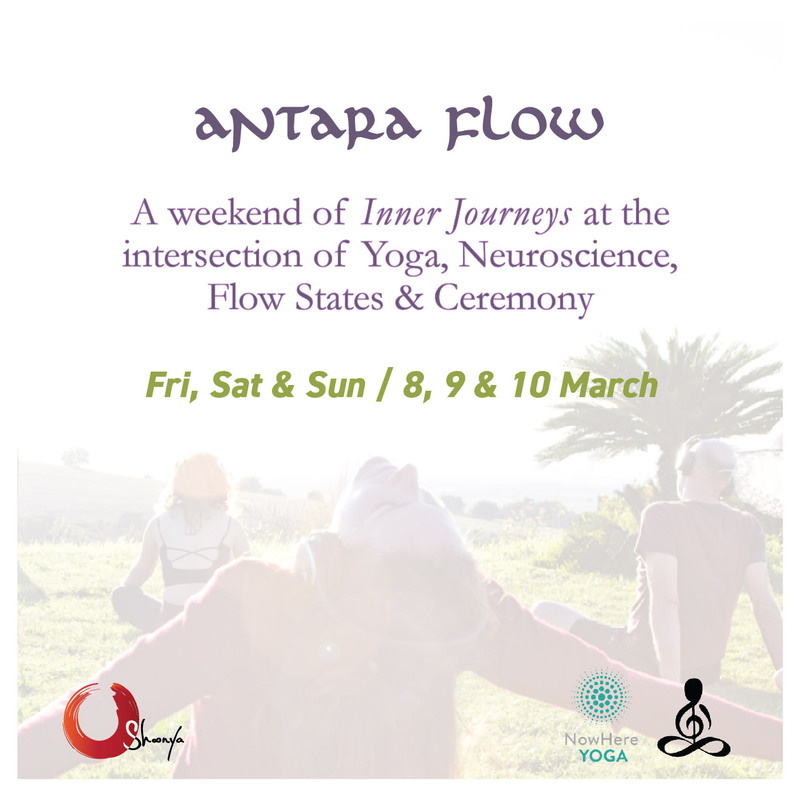 A weekend of sessions bringing together a unique fusion of yoga, movement, music, ceremony, mindfulness, breathwork and brainwave entrainment technology. Energizing movement practice for modern bodies, blending hatha yoga, internal martial arts and physiotherapy. The session covers foundational anatomy & physiology, principles of integrative movement, an analysis of common issues affecting modern bodies, and practices for progressively developing core strength, spinal mobility, enhanced energy levels and mental focus. Building on the principles covered in the introductory session, we will continue to develop more deeply energizing movement practice techniques, and introduce the further enhancements of binaural beat brainwave entrainment technology and “holotropic” breathwork practices to provoke powerful shifts in awareness states and somatic experience. Participants will learn important information about fundamental properties of the nervous system and breath physiology, as well as practical tools for helping guide them toward optimal flow states. Cacao, which most of us know in the form of chocolate, is in fact an ancient and potent plant medicine currently experiencing a resurgence of popularity around the world. Using the highest ceremonial-grade raw Amrita Cacao, we will enter into a ceremonial space where we will facilitate states of inner connection, euphoria and emotional release through yoga, self-massage, Ecstatic Dance, beta- and alpha-wave binaural beats, and the literally hundreds of positively beneficial bioactives present in the cacao medicine. Work Continuing with Synergy Flow practice, we will move into Contact Yoga exercises to further develop sensitivity, balance, and neural adaptability. Utilizing binaural entrainments, we will engage in gentle, hands-on partner work to liberate restrictions in breath patterns and cultivate a deep recharge in the body through opening the body’s natural respiratory fullness. We will finish the weekend with an integrative Cacao ceremony, with a more introspective and grounding focus than the session on Saturday evening. Entering into ceremonial space, we will use the cacao medicine as a catalyst for a journey inward, facilitated by a sound journey with deeper delta- and theta-wave binaural beats, and guided contemplation of the deep roots of our human being. Morgan Palmer Hubbard is a New Zealand-born, Barcelona-based teacher, performer and facilitator specializing in yoga, Ecstatic Dance, group facilitation, and insight philosophy. Rights of admission reserved. No refunds or cancellations.